Canada is blessed with stunning vistas and a great range of flora and fauna that characterize our country’s vast geographic and climatic regions. Our spectacular scenery from the shorelines of three oceans to the forests, mountains, prairies and cities that many of us call home are not only a source of great pride—they also contribute to a sense of national identity. That’s why many Canadians recognize the social and economic importance of environmental sustainability, and help to conserve and protect both our wildlife and natural ecosystems. Statistics Canada has played an important role in understanding our country’s natural environment, including the socio-economic impacts of climate change and greenhouse gas emissions. 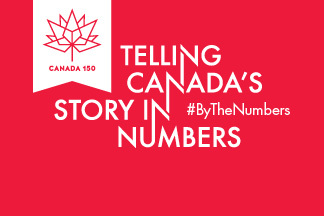 On October 31, 2017, Statistics Canada celebrated Canada’s natural environment as part of its Canada 150 program: Telling Canada’s story in numbers. Our guest speaker, Andrew J. Leach, Associate Professor from the Alberta School of Business at the University of Alberta, discussed how Canada has addressed the topic of environmental sustainability and the evolution of strategies to reduce greenhouse gas emissions. His presentation was followed by a panel discussion with experts from various environment-related fields. At the end of the discussion, participants were invited to ask questions. This event brought together academics, environmentalists, economists, students, policy makers and community organizations for a discussion to advance our collective understanding of Canada’s natural environment. When: Tuesday, October 31, 2017, from 1:00 p.m. to 3:30 p.m.